This complex building has a clear traceable history back to the 1590s, although parts of a much older house remain at its core. From the early 1600s the building was an alehouse or tavern, at first called the Rose and then the Duke of Northumberland’s Head. 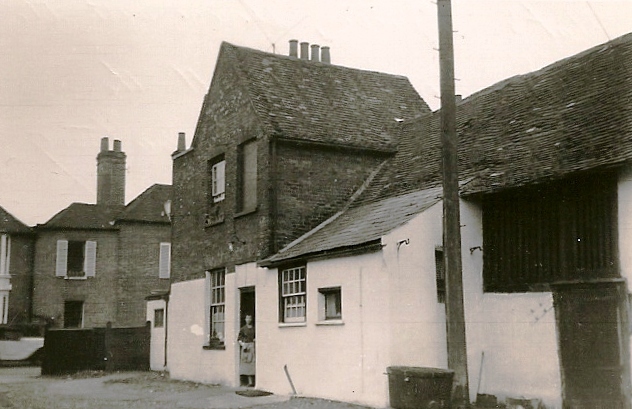 By about 1750 it had become a butcher’s premises, as it still was into the 1970s. 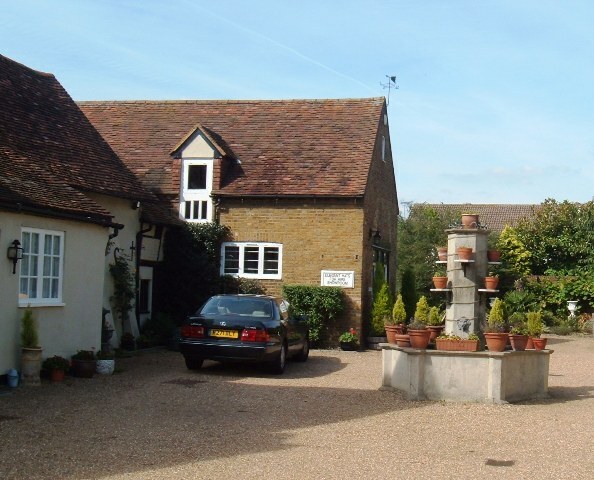 In 1975 the property was sold to Charles and Jane Toller who were antique dealers. 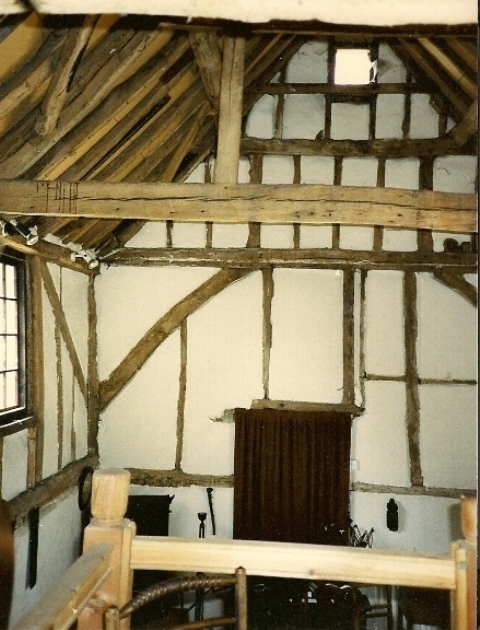 They stripped out the interior cladding of the big mid-1600s barn and assumed they had discovered a medieval open hall house. Number 20 is still known as the Hall House but this is very misleading. 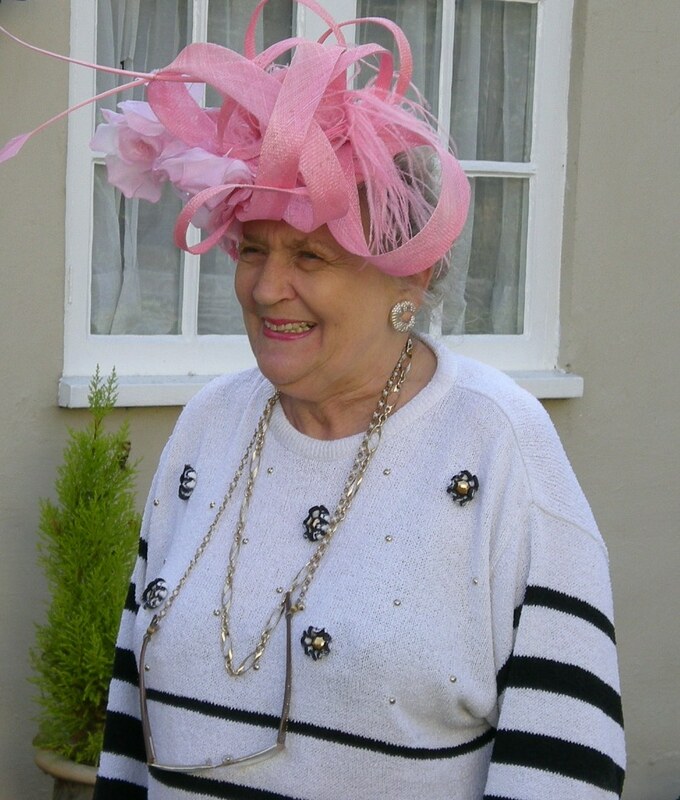 More recently, under John and Margaret Partington’s ownership and as Elegant Hats for Hire, the shop has been a landmark in the High Street and a magnet for all those near and far who needed hats for glamorous occasions, although sadly the hat business has now been sold. 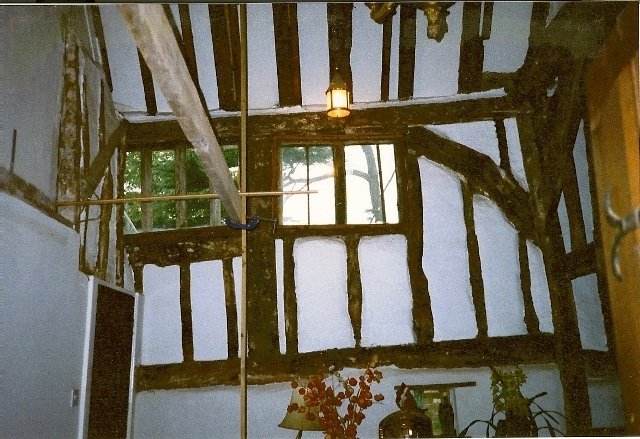 Margaret has stripped back the inside of the building again, removing many of the Tollers’ additions and adding her own interpretations in the style of the 1600s. 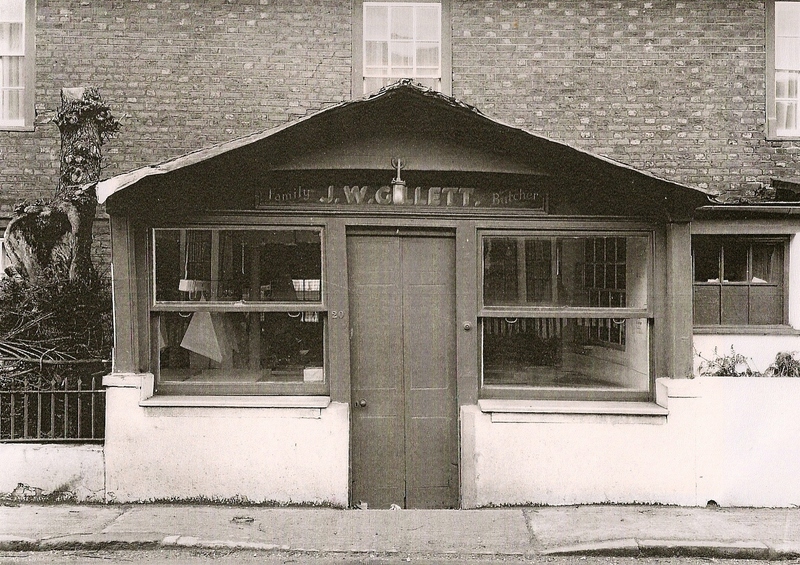 James W. Gillett was the last of a long line of butchers to occupy the shop (facing the road), the slaughterhouse (in the centre of the house) and the meadow (behind the house), so that the meat was processed through from grazing to selling on the premises. Many local people remember these processes, particularly the slaughtering on site. 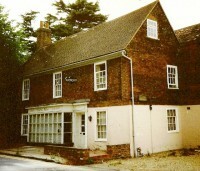 This family’s tenure goes back to about 1900 with John W Gillett, at which time they also had a shop on Datchet Common. The previous occupant, also a butcher, was James Saunders from about 1880. For fifty years before that William Statham was the tenant under Ralph Goodwin’s ownership. The census records him there in the mid-1800s with his nephew and niece, employing four men living in as butchers’ assistants as well as a cook and housemaid. 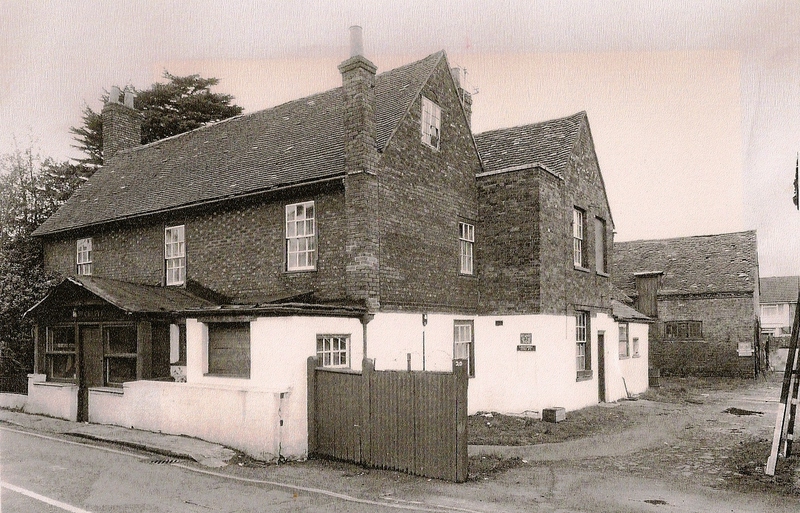 At that time farming and butchery were very closely associated and from the 1860s William retired to live at Southlea Farm where he was already the tenant farmer, leaving a nephew to run the High Street end of the business. In 1815 Ralph Goodwin inherited the butcher’s premises from his uncle John Goodwin, which he rented to the young William Statham. 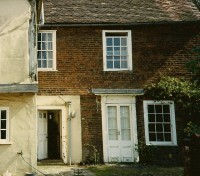 A messuage (house) with buildings, barns, stables, yards, orchard, garden & appurtenances heretofore called by the name of the Rose or the Duke of Northumberland’s Head, then in occupation of James Bennett carpenter, since of John Stevens butcher and now of John Goodwin, and to which premises William Styles was admitted in 1756. Any house which had been called by the name of the Rose or the Duke of Northumberland’s head must once have been an inn or alehouse, but it had ceased to be so before 1730. 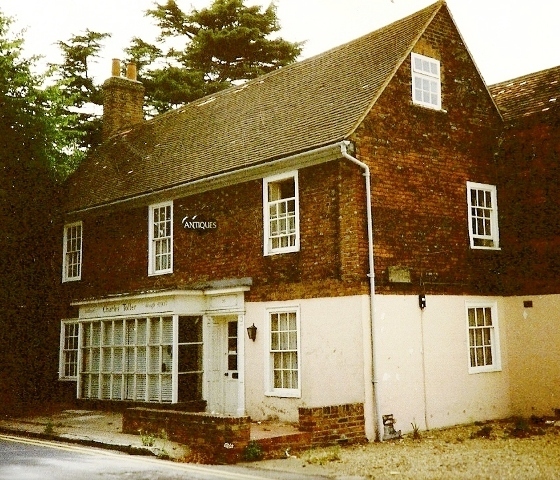 When William Style inherited it in 1756 it was a butchers’ shop run by John Stevens His father, William Style the elder of Ditton Farm, had himself inherited under the will of William Burt in 1730, when it was occupied by James Bennett, a carpenter. Ten years previously, William Burt inherited from his uncle William Hale: a messuage etc called the Duke of Northumberland’s Head now in tenure of Charles Cooke. 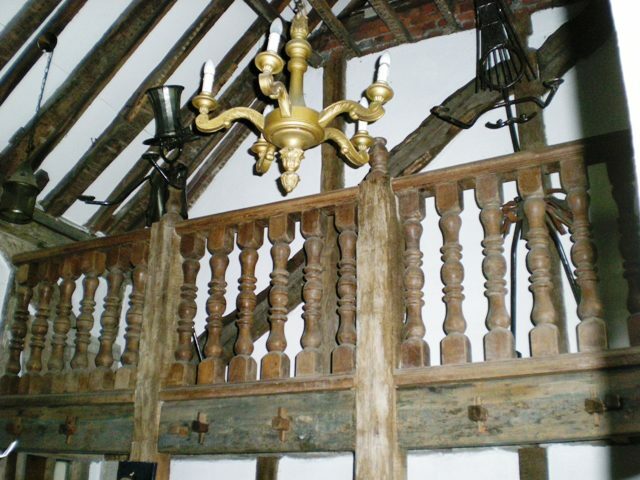 In 1713: this Charles Cooke was fined at Bucks Quarter Sessions Court for keeping an unlicensed alehouse. In fact, this alehouse seems to have been unlicensed for most of its existence. 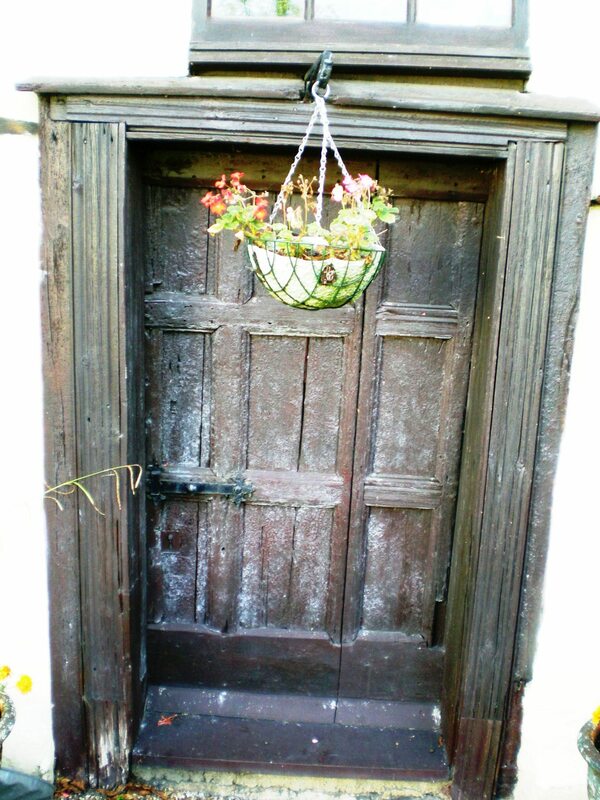 The ‘Rose’ was a common inn sign in Tudor times but here it was changed sometime before 1718. This fits with the life of the actual George Fitzroy, Duke of Northumberland, an illegitimate but acknowledged child of Charles II and Barbara Villiers. He was working for the secret service in Venice in the 1680s and created Duke of Nothumberland on his return. 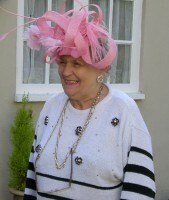 His local connections were as a Knight of the Garter living at Frogmore and from 1701 the Constable of Windsor Castle, while in 1712 became Lord Lieutenant of Berkshire. Presumably this alehouse’s name was changed as a topical local reference, especially since the Duke would have used Datchet Bridge at the foot of the High Street. He would have passed the alehouse but was he likely to have stopped to drink here? The Hale family had owned the property since 1644, and it can be followed back in manorial documents through frequent changes of ownership (or perhaps just leasing to tenants) to 1596. 1596: Maurice & Agnes Hale surrender messuage in Thames Street to George Flame. 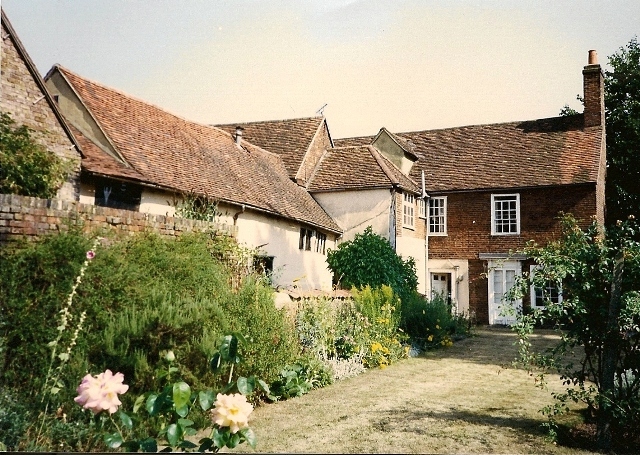 Maurice’s father Richard Hale had died in 1595, so it seems that Maurice and Agnes were selling this property on very quickly, as did the subsequent owners. 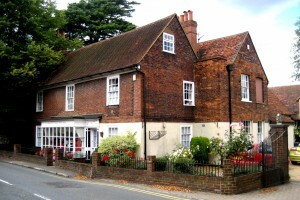 The Hale family had been prominent in Datchet since medieval times, one being the manorial steward and Maurice, Bernard and John Hale owning the rights to run Datchet ferry from the Crown in the 1590s. None of the Hales are likely to have lived in this house and it was just one of their many properties leased out to tenants. 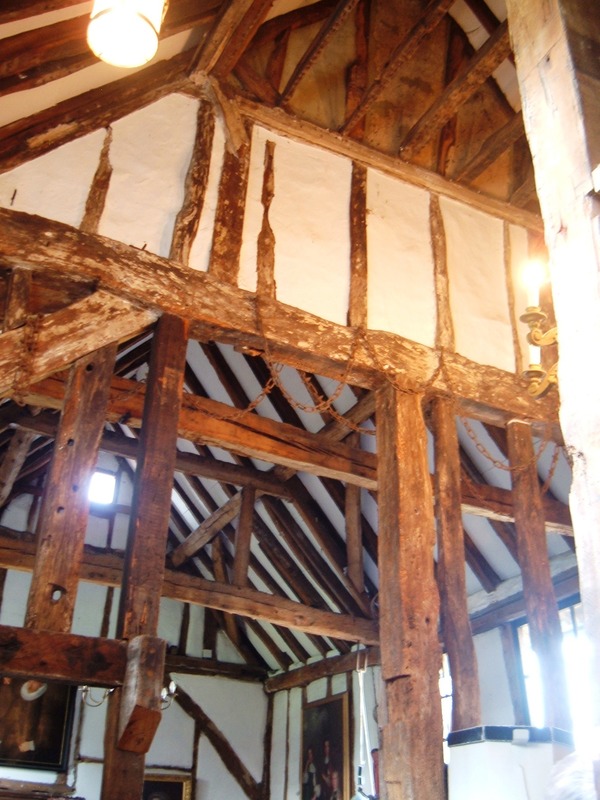 The remains of the first timber framed house are loosely dated between the late 1400s and the early 1500s. Only a small section of this phase remains, embedded in later developments. 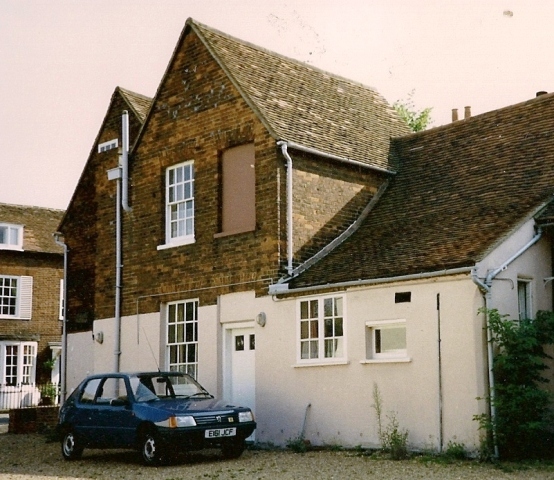 Although the house cannot be identified in documents before 1596 it is clear that it was in existence by then and had been owned by Maurice Hale, whose family had been in Datchet and other villages nearby since before 1400. 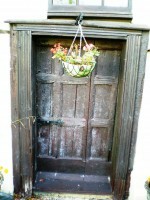 (It is not being suggested that Hales had lived at No.20 from then.) This early structure has only survived because the property was updated piecemeal and it became absorbed into the agricultural barn area rather than the later living quarters, where it would have become too old fashioned to have continued in use. 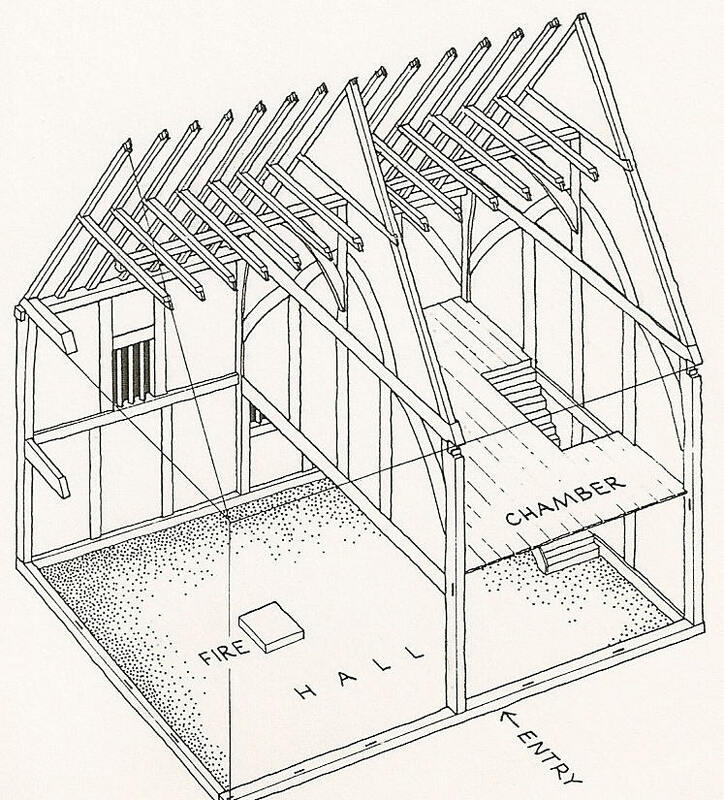 At the Weald & Downland Open Air Museum in Sussex there is a reconstructed house (left) which resembles the early house at No.20 quite closely. It is also fragmentary and would have had other main rooms attached to it. This house has the same diamond-section wooden mullioned windows as No.20, one of them at a similar mid-wall height. 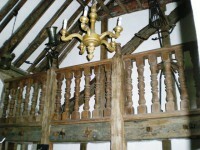 It is known as Winkhurst Farm and has been dated by dendrochronology to 1492-1537, a date bracket which agrees well with the suggested age of the house in Datchet. 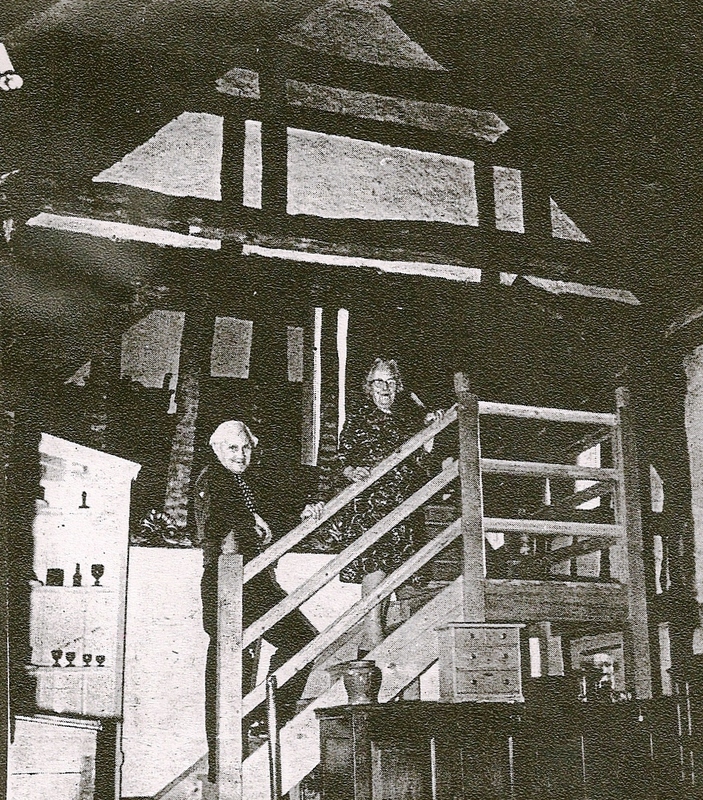 Although the barn was not a hall house as the Tollers thought, the early phase of the house probably really was an open hall through to the rafters with a central hearth, as here at Winkworth Farm. The present main room in the house is a three-bay agricultural barn, typical of this area in the 1600s. 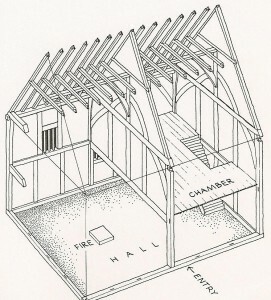 It would originally have been separate from the earliest house but built close to it. 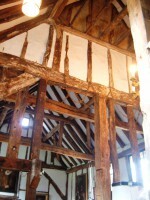 There is now a narrow section joining them and the separating wall had its infill removed, reducing the wall to a bare timber frame so it can be seen through. 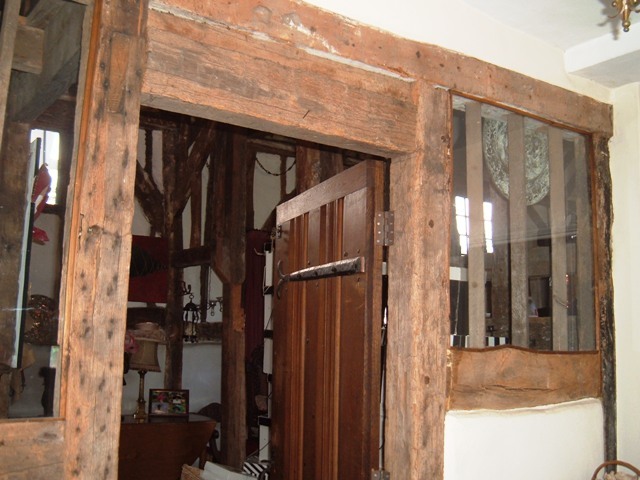 The low panelled door in the main entrance side is of about the same date but re-used here from elsewhere in the house and cut down to fit. When the Tollers bought the property the whole structure was internally cladded with corrugated iron as it had been when used as a slaughter house. Many fairly ordinary houses had barns and other outbuilding since everybody farmed for food to some extent. If this was built during the Rose period it may have been where grain was stored and ale brewed. Later, it was where cattle were slaughtered. 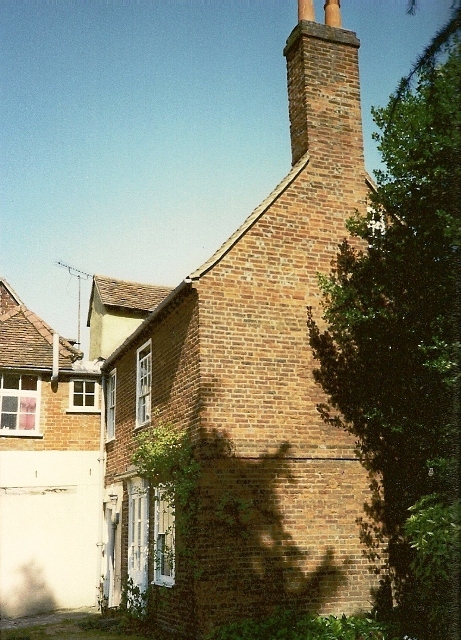 John Goodwin almost certainly added the fashionable Georgian brick front wing, having bought this property in 1778 and married in 1779. He was already a farmer of some status and setting up a new house on marriage was traditional. In later years he added a new front wing to Goodwyn House and built Satis House, so the assumption that he also carried out work here seems reasonable. At the back (garden side) of this wing there is a delicately detailed doorcase which is likely to have been the new front door, re-sited here when the projecting shopfront was built later. This wing provided fashionable living rooms separately from the original house and barn. In the high narrow roof there are attic rooms up a narrow staircase and running from one end to the other, which would have accommodated servants including men working for the butchery. 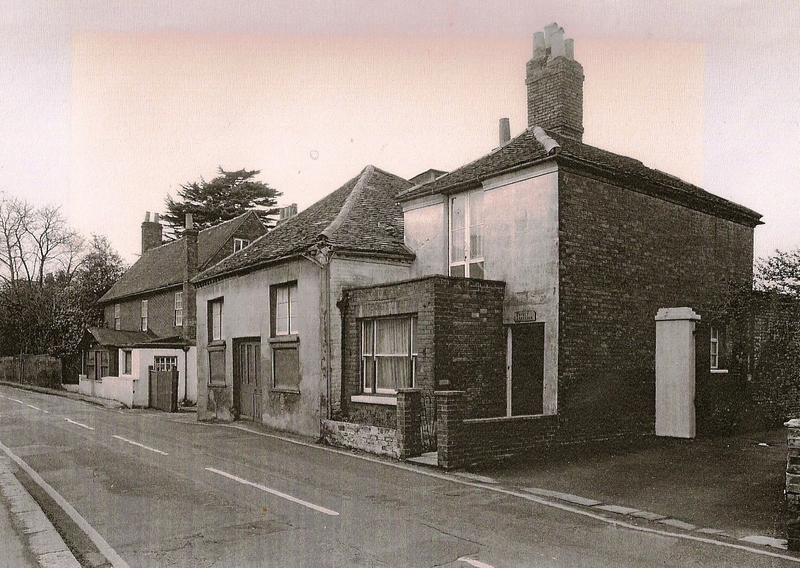 This big characterless block further enlarged the house and provided more modern kitchen areas but almost certainly obliterated much of the original house that had survived until then. It is difficult to date and there is no obvious owner / builder, but the best current guess is William Statham, tenant 1820s to 1870s. 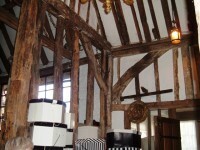 Behind the 17th century timber framed barn a smaller 1800s brick one runs at right angles to its axis. 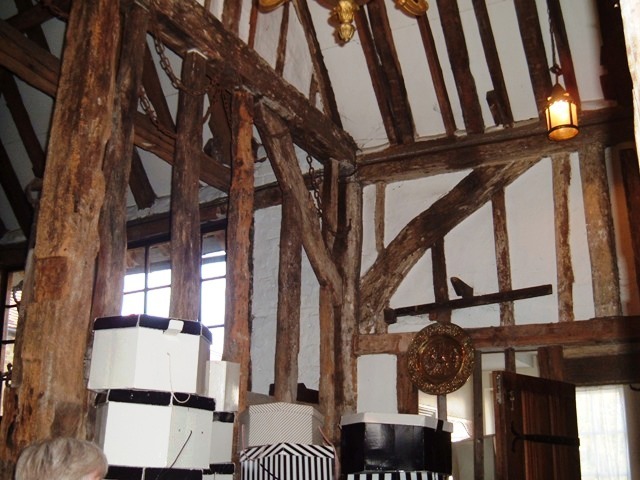 This was originally separate but is now joined by a passageway to the main room of the house and was the showroom for Margaret Partington’s Elegant Hats for Hire. It may have been built at the same time as the phase four wing and may have housed cattle being processed between the grazing and the slaughterhouse areas of the business. 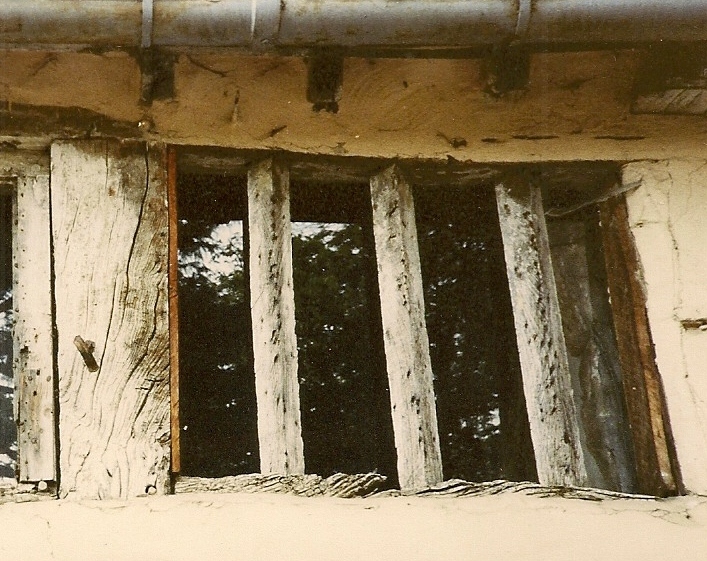 After stripping the cladding from inside the 17thC barn, Mr and Mrs Toller integrated the remains of the early house with the much bigger space of the barn by leaving the timber frame of the end wall of the house with no infilling. 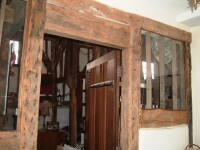 Mrs Partington has since inserted a gallery into the wall between the early house and the 19thC block and added an old timber from elsewhere onto the same wall behind the gallery. 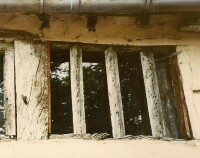 In the original west wall of the early house, now enclosed by the phase four19th century entrance extension, Mrs Partington has inserted two wooden mullioned windows intended to reproduce original windows to the exterior by imitating the known early type surviving in the opposite wall.